Key to the Garmin Approach S6 is its SwingTempo, TempoTrainer and SwingStrength metrics. SwingTempo measures the relationship between a golfer’s backswing and downswing, presenting it as a ratio. It works on the premise that three to one is the ideal ratio even with individual variations in speed. TempoTrainer takes this ratio to provide users with audible tones to synchronise swing mechanics and fine tune tempo. SwingStrength complements the two aforementioned capabilities by providing feedback on power percentage to allow golfers to calculate and remember the power behind each club used. Garmin has preloaded more than 30,000 international courses into the Approach S6. These require no additional subscriptions or fees. The database is coupled with CourseView which provides full colour mapping via a dedicated button, with previews of doglegs, traps, water hazards, and green shapes. The software works with GreenView which shows the layout of the green, nearby bunkers and water hazards. Users can use the touchscreen to drag and drop a pin as a marker and to provide yardages. A PinPointer feature adds blind shot assistance. Golf clubs can be strict when it comes to phone use on the course. The Approach S6 can be paired with an iPhone 4S or later (Android compatibility will be available in summer) to enable some smartphone functionality; it can deliver missed call alerts, text messages, and emails, allowing users to keep smartphones packed away without being completely disconnected from personal or work life. Garmin claims that the Approach S6 can last for up to 10 hours in full GPS mode and 14 weeks in watch mode. Other features include water resistance up to 50 metres, electronic scorecard, and Touch Targeting. 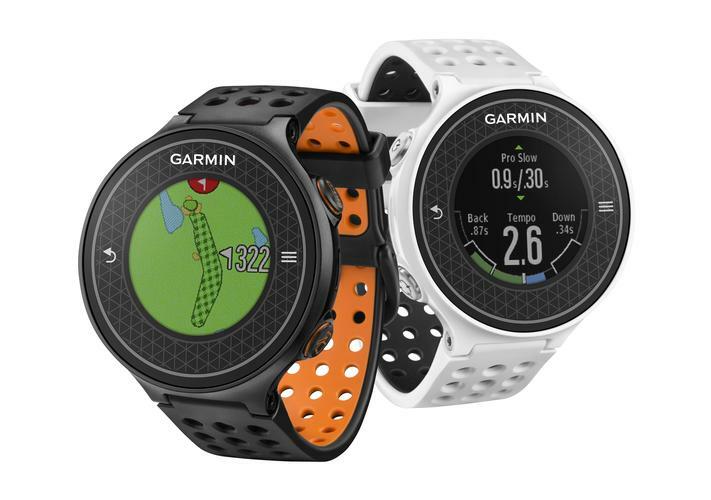 The Garmin Approach S6 will launch Australia in July with a $A499 price tag.